A study jointly conducted by the Harvard School of Public Health, Brigham and Women’s Hospital and Harvard Medical School, as well as Columbia University in New York found that consumption of fish may improve prostate cancer survival. Earlier epidemiological studies are not conclusive on whether eating fish and seafood n-3 fatty acids may prevent or slow the progression of prostate cancer. For this piece of research, a prospective cohort study of 20,167 men who participated in the Physician’s Health Study was conducted. The men were cancer-free in 1983. During the follow-up period of the study, 2,161 men were diagnosed with prostate cancer, while 230 died from the disease. 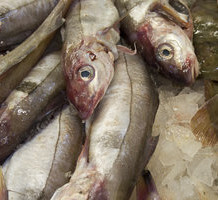 It was found that fish intake did not prevent prostate cancer. However, among those who got prostate cancer, those who ate fish five or more times a week had a 48% lower risk of dying from the disease, as compared to those who ate fish less than once every week. For seafood n-3 fatty acid, the association was similar – a 36% lower risk for those who consumed it regularly. The links became stronger when the analyses were restricted only to cases which were clinically detected.